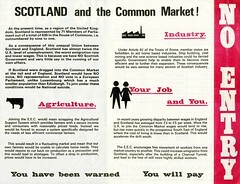 This photograph of 1970s campaigning has just been added to the collection. 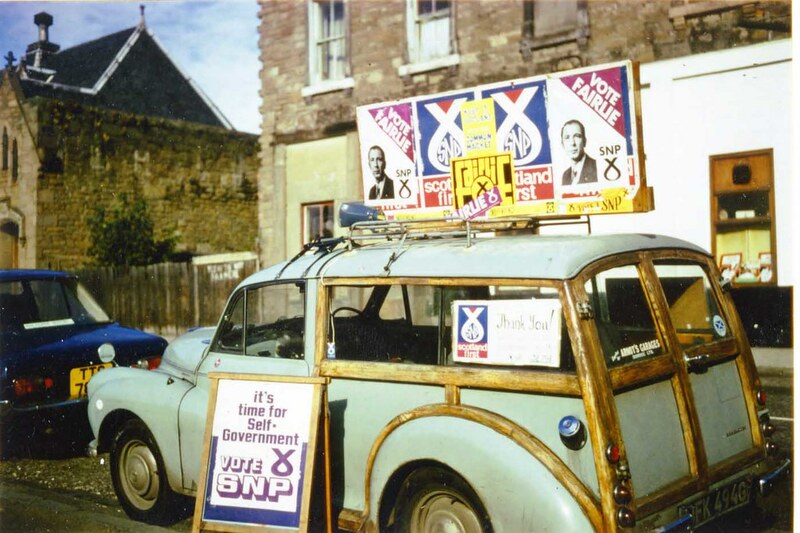 It shows an SNP campaigner’s car in Dundee West, at either the February or October 1974 General Election. 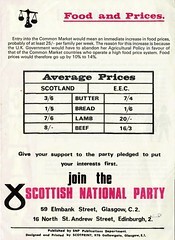 Jim Fairlie stood as the SNP candidate for Dundee West in February 1974, October 1974 and 1979. In 1979, he became Vice Chairman for Policy. From 1981 to 1984 he was Deputy Leader and Senior Vice Chairman of the party. He stood unsuccessfully in Dunfermline West at the 1983 general election and Perth and Kinross in 1987. 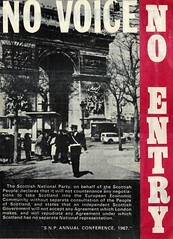 He resigned from the SNP in 1990 over their ‘Independence in Europe’ policy.